The Littlefield Fountain in front of the Tower was marked with graffiti overnight, according to a tweet by the UT Police Department. The graffiti was discovered and reported this morning, UTPD spokeswoman Cindy Posey said. The red spray paint reads: “This is the blood of survivors that UT ignores,” next to a depiction of a hammer and sickle. UT’s Facilities Services crews are working to remove the spray paint, Posey said. 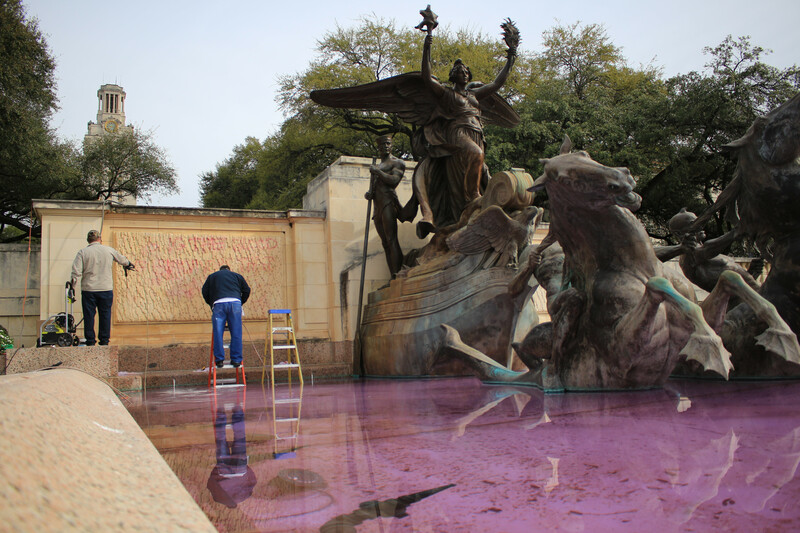 As the red paint was removed, the water began to turn purple, according to UTPD’s tweet. 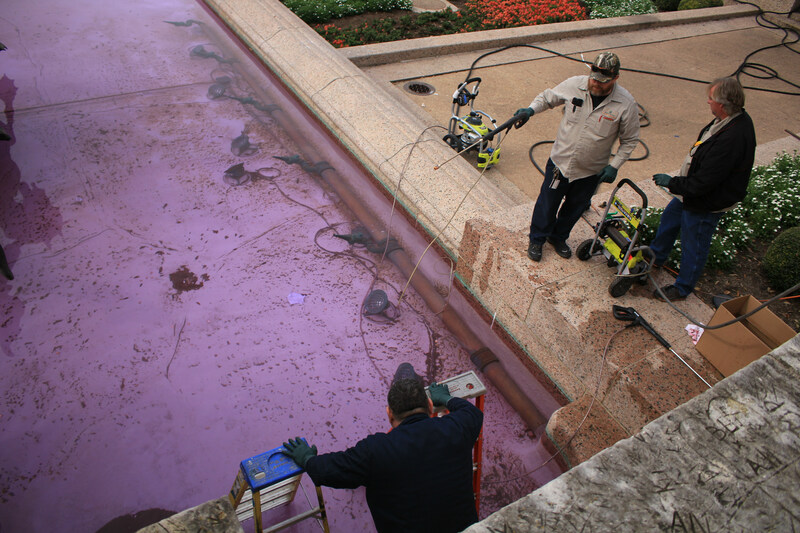 Posey said Facilities Services workers found two spots where it appears dye was poured into the fountain, causing the purple water.